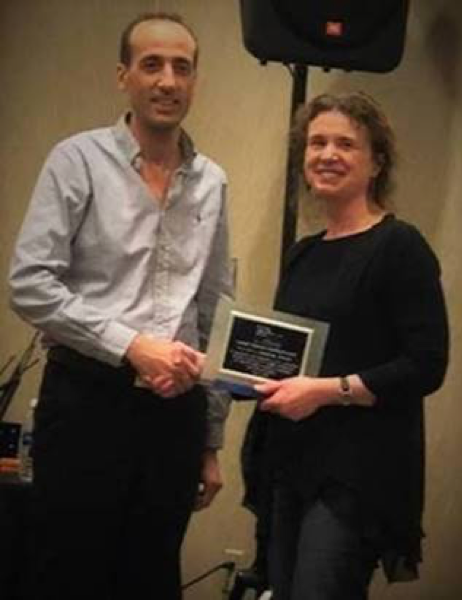 Recently, the oneM2M™ Technical Plenary Chairman presented Catalina Mladin, Member of Technical Staff, Convida Wireless™, with an award for her outstanding contributions to the development of oneM2M standards. Catalina was nominated by a prominent North American operator, AT&T, for her contributions towards the oneM2M Rel-3 specifications in the area of interworking oneM2M to underlying 3GPP networks via the SCEF T8 interface. On March 12, she received the award at the oneM2M Technical Plenary Meeting held in Dallas (pictured below). In addition to Catalina, Bei Xu of Huawei and Wolfgang Granzow of Qualcomm were also recognized for the highest standards of excellence, innovation and quality. Formed in 2013 as a joint venture between Sony Corporation of America and InterDigital, Convida Wireless is focused on research into the future of connectivity and the Internet of Things (IoT). Comprised of 8 of the world’s leading ICT standards bodies, 6 global fora and SDOs, and over 200 companies, oneM2M is the global standards initiative for Machine to Machine Communications and IoT. This is a great achievement for Catalina, the Convida IoT Team and InterDigital. Please join us in congratulating Catalina on her accomplishments! Global Smart Cities IoT technology revenues are to exceed US$60 billion by 2026 according to a recent report by ABI Research, a market-foresight advisory firm providing strategic guidance on the most compelling transformative technologies. The report, titled “Smart City Market Data,” provides an in-depth understanding of connections, technologies, and revenues across all major Smart City segments, as well as insight into the ecosystem in terms of suppliers and initiatives. ABI Research highlights InterDigital’s Smart Cities-focused business, Chordant™, as a key Smart City IoT solutions and platforms provider alongside industry-leading peers that include Cisco, PTC, Microsoft, Huawei, Nokia, NVIDIA, Verizon, Siemens, IBM, SAP, and Amazon. The firm states that only IoT technology suppliers that are addressing specific challenges cities are facing will win, and critical success factors include ecosystem support, standards-based interoperability, guaranteed technology lifecycle management, and more. The report also cited the fastest growing verticals include EV charging stations and micro-grids, smart waste management and environmental sensors, smart parking, and smart street lighting. In another recent report on Smart Cities and Cost Savings, commissioned by InterDigital, it was found that smart street lights are expected to cut repair and maintenance costs by 30 percent, contributing to potential savings as much as $4.95 billion annually for governments. Reports such as these from ABI Research reinforce how important the role of Smart Cities will be in both economic and social terms for our future. However, it is imperative that governments, enterprises, and citizens work together to deliver the true potential of Smart Cities. To learn more about the report, please click here, or for more IoT research, click here. Device virtualization is on its way and may become a reality far faster than you can imagine. A recent BizTech article explores the road to device virtualization and how 5G can make service endpoint agents (SEA) a reality in potentially less than a decade. So, let’s back up – what is a SEA? A SEA device will work differently than your current smartphone. In the device virtualization paradigm, the same principles that allow virtualization across data centers or the abstractions of EPC elements in the cloud are applied to enable the dynamic decomposition of functions in a device into executable tasks. These functions may then be assigned for execution wherever this may be optimal, e.g., in another end user device or in a nearby Edge node. According to Alan Carlton, Vice President, InterDigital Europe, “the essential notion of the SEA is that any user interface can become yours when you need it,” as quoted in the BizTech article. InterDigital has been an active contributor to wireless standards for over four decades and currently is focused on helping establish the next generation of wireless. 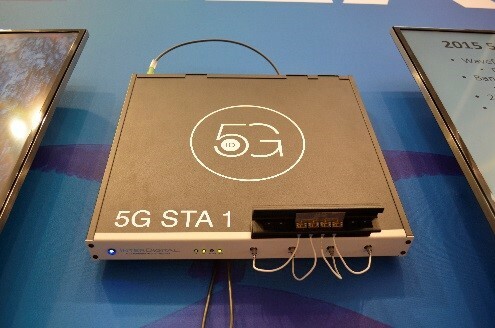 In August, the company announced the world’s first successful Mobile Edge Computing 5G network architecture trial that unveiled new IP networking technology expected to form part of the 5G network architecture. Click here to read the full article or for more on device virtualization and SEAs, click here. InterDigital is delighted to announce that our Legal Department was recently named a Legal Department of the Year by The Legal Intelligencer, the daily law journal of record for the Commonweath of Pennsylvania and the oldest legal daily in the United States. Pictured from left to right: InterDigital's Deb DiBattista, Amy Hudak, Christi Renshaw, Damian Hamme, Christos Ioannidi, Jannie Lau, Andy Isztwan, Ralph Neff, Desa Burton, Matt Shaw, Josh Schmidt receiving their honor. We are proud to share the news and congratulate the entire Legal team! The Centre Tecnològic de Telecomunicacions de Catalunya (CTTC) recently signed an agreement with InterDigital to collaborate on the development of New Radio (NR) concepts targeted for 5G Phase 2. NR, the global standard being driven by 3GPP for a new 5G air interface, is a continuing part of the mobile broadband evolution to deliver on the requirements of 5G. According to 3GPP’s standardization timeline, Phase 2 is set to begin in 2018 and will result in full support of 3GPP NR requirements. The CTTC is a non-profit research institution based in Barcelona, resulting from a public initiative of the Regional Government of Catalonia. The institution’s research activities are focused on technologies related to the physical, data-link and network layers of communication systems, and to the Geomatics. The research group involved in the collaboration agreement with InterDigital is the Mobile Networks Department of the Communication Networks Division of CTTC. InterDigital and CTTC have an established history and highly-respected research relationship that stems from consortium collaborations such as in European H2020 5G-Public Private Partnership (PPP) projects. The agreement between CTTC and InterDigital will focus on New Radio including technology development, system proof-of-concepts, and simulation work, among other areas. InterDigital is pleased to extend their research efforts with CTTC and look forward to the work to come. While the IoT market, in general, was slow to capture the public's imagination prior to 2017, one area where IoT is blooming is in the smart city and smart building industry. Mass rollouts of IoT in an industrial setting, including urban environments and business hubs, are beginning to garner success. It is more important than ever to understand what smart cities are, how they get smart, what technologies have the greatest impact, potential challenges, and much more. InterDigital has been an active contributor to the development of standards-based IoT to enable multiple ecosystem partners to provide IoT solutions that range from industry specific applications to advanced data marketplaces. In addition, the company is actively involved in organizations that are dedicated to the acceleration of IoT including ATIS, IIC, GSMA NB-IoT, and oneM2MTM, among others. To learn more about InterDigital’s work in IoT, please click here. The 5G network, AR/VR, and machine learning, among other innovations are providing abundant possibilities to rapidly advance the power and opportunity of Smart Cities technology. The Alliance for Telecommunications Industry Solutions (ATIS), a forum where ICT companies convene to find solutions to shared pressing challenges, recently developed the Smart Cities Technology Roadmap to provide an overview of the network-enabled technologies that have the greatest impact on Smart Cities from the vantage point of key ecosystem players, including InterDigital. The Smart Cities Technology Roadmap was developed through extensive interviews with Smart Cities planners, CIOs, CTOs, and other key decision makers as well as leading ICT industry companies to foster a more intelligent approach to Smart City planning through better budgeting, purchasing and staging decisions. As an ATIS member company, InterDigital participated in the development of the roadmap alongside industry peers that include AT&T, Cisco, Ericsson, Nokia, Qualcomm, and Verizon, among others. The roadmap covers a number of topics such as technology framework, technology enablers, technology-enabled applications, and more. Within the area of technology enablers, InterDigital contributed its expertise on data exchanges and data marketplaces. The roadmap defines both environments, identifies the value creation opportunity for Smart Cities and covers the importance of standardization for the true realization of Smart City applications. From the beginning, InterDigital has been an active contributor to the development of standards-based IoT to enable multiple ecosystem partners to provide IoT solution enablement ranging from industry specific applications to advanced data marketplaces. View the full Smart Cities Technology Roadmap here or to learn more about data exchanges, please click here. InterDigital is delighted to announce that our Executive Vice President, General Counsel and Secretary, Jannie Lau, was recently appointed to the innovative and highly regarded Comcast NBCUniversal Joint Diversity Advisory Council (JDC). The Comcast NBCUniversal JDC, comprised of national leaders in business, politics and civil rights, provides advice to senior executive teams at Comcast and NBCUniversal regarding their development and implementation of diversity and inclusion initiatives in the following five focus areas: Governance, Our People, Supplier Diversity, Programming and Community Investment. The JDC includes four nine-member Diversity Advisory Councils representing the interests of African Americans, Asian Americans, Hispanics and women. It also has representatives from other diverse groups, including Native Americans, veterans, people with disabilities and members of the lesbian, gay, bisexual and transgender (LGBT) community. Jannie was appointed to a two-year term on the Asian American Advisory Council, serving alongside other leaders from Morgan Stanley, UPS, Coca-Cola, the NAACP, National Urban League, Asian Pacific American Institute for Congressional Studies, Asian Americans Advancing Justice and U.S. Hispanic Chamber of Commerce, among others. We are proud to share the news and congratulate Jannie! Cloud Radio Access Network (C-RAN) is the visualization of base station functionalities by means of cloud computing, and it is considered to be one of the key forward-looking 5G technologies. It also was the focus of a research paper, co-authored by an InterDigital engineer, that was recently awarded the 2017 Best Paper by the Journal of Communication Networks (JCN)! JCN, a bimonthly journal published by the Korean Institute of Communications and Information Sciences (KICS) with the technical co-sponsorship of the IEEE Communications Society, is committed to publishing high-quality papers that advance the state-of-the-art and practical applications of communications and information networks. The subjects covered by JCN include all topics in communication theory and techniques, communication systems, and information networks. Annually, JCN selects the top paper among all JCN publications throughout the previous year to be awarded the prestigious Best Paper Award. InterDigital’s Dr. Onur Sahin collaborated with Prof. Osvalda Simeone, New Jersey Institute of Technology; Dr. Andreas Maeder, NOKIA Networks; Prof. Mugen Peng, Beijing University of Posts and Telecommunications; and Prof. Wei Yu, University of Toronto; to produce the 2017 award-winning paper titled, “Cloud Radio Access Network: Virtualizing wireless access for dense heterogeneous systems.” The paper provides a concise overview of the research on C-RAN with emphasis on fronthaul compression, baseband processing, medium access control, resource allocation, system-level considerations and standardization efforts. The paper was originally published in the April 2016 JCN special issue on Cloud Radio Access Networks, which aimed to address fundamental research issues regarding the analysis and implementation of C-RANs with emphasis on the interplay between wireless interface and the fronthaul network. The authors will be presented with the 2017 JCN Best Paper award at the IEEE International Conference on Communications on May 22, in Paris, France. Click here to read the full award winning paper. Wiley, a global leader in scholarly journals, recently published Internet of Things and Data Analytics Handbook featuring a practical case study written by InterDigital engineers along with our partners at ARUP. The IoT and Data Analytics Handbook describes essential technical knowledge, building blocks, processes, design principles, implementation, and marketing for IoT projects. The handbook opens with an overview and anatomy of IoT, ecosystem of IoT, communication protocols, networking, and available hardware, both present and future applications and transformations, and business models. It also addresses big data analytics, machine learning, cloud computing, and consideration of sustainability that are essential to be both socially responsible and successful. Design and implementation processes are illustrated with best practices and case studies in action. The chapter focuses on the transport industry and a solution to today’s transportation fragmentation, the oneTRANSPORT® data marketplace initiative. The oneTRANSPORT initiative is an Innovate UK supported project in the area of “Integrated Transport: In-Field Solutions.” The project addresses both immediate and anticipated future challenges facing the transport industry (e.g. congestion, shrinking Local Authority budgets, end of subsidies, and the like). The oneTRANSPORT initiative involves eleven cross-sector partners including five Transport Authorities (data owners and use case providers), a technology platform provider (InterDigital), a transport industry specialist, and four transport sensor/device manufacturers & transport analytics providers. To learn more about the oneTRANSPORT initiative, please click here. For more information on the book, please click here. Day One of Mobile World Congress 2017 ended in success! 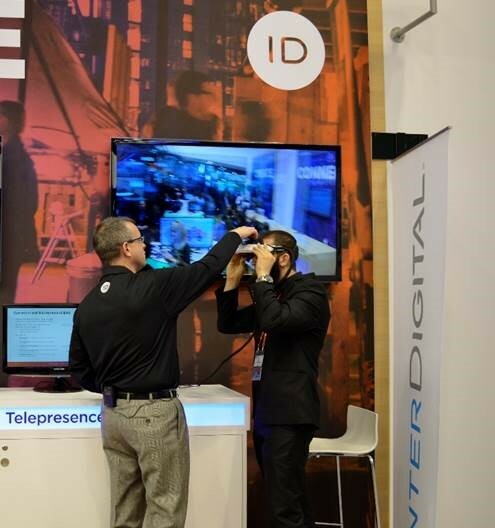 The InterDigital new booth space was flooded with foot traffic for our exciting demos and our meeting rooms were consistently packed throughout the entire day. Remote Surgery: 4G vs. 5G where two participants at a time compete in an entertaining game of "remote surgery" – one player via a low-latency 5G connection and the second player via a slower (higher-latency) 4G connection. So far, 5G seems to be the winner! But don’t worry, both participants are winners as they receive a fun sticker and get entered in a chance to win an Amazon Echo or Apple TV! Contextual Driving Platform where participants must safely drive a RC car via a virtual reality headset, physical steering wheel and pedals while avoiding obstacles and other autonomously driven RC cars. The CDP assesses and aggregates driving data to provide the participant with a risk level score and ranks them on our leaderboard! All participants get entered in a chance to win an Amazon Echo or Apple TV as well! Another new feature this year at the InterDigital booth is our studio space! Day One featured an afternoon full of interviews conducted by our media friend, Light Reading, with a number of industry leaders covering industry hot topics. Finally, the day drew to a close with a stellar performance from a returning favorite and local band, The Mañaners! Crowds formed around and throughout the booth to enjoy the wonderful music and lively performance. Operators have the potential to miss a $6.7 billion opportunity from consumer interest in paid-for managed Wi-Fi. This warning comes from InterDigital’s XCellAir, an expert in Wi-Fi Quality of Experience (QoE), based on their findings from a new survey of 1,000 consumers each in the US and UK. The $6.7 billion opportunity comes from revenue lost from consumers willing to pay for managed Wi-Fi services (estimated $3.3 billion) and OPEX savings from a reduction in helpline calls and engineer visits (estimated up to $3.4 billion). TelecomTV: WiFi management as a service: an XaaS whose time has come? CED: Are Managed WiFi Services a Huge Missed Opportunity for Operators? XCellAir also recently announced the launch of its Wi-Fi Advisor, a free tool which helps ISPs and operators to determine the Wi-Fi service customers need in order to provide reliable Wi-Fi performance throughout the home. Click here for more on the consumer survey or for more information on XCellAir, click this link! CES 2017 - Don’t Miss “Trolls and Tech: How to Fix Patents” Tomorrow! 2017 holds promise for many exciting advances and milestones in the technology industry, including the 50th Anniversary of The International Consumer Electronics Show (CES) in Las Vegas, NV, being held this year from January 5-8. CES 2017, the world’s gathering place for all who thrive on the business of consumer technology, showcases the hottest tech trends through exhibition, keynote addresses, marketplaces, panel discussions and more! The 2017 conference program is bursting with exciting sessions including a policy focused panel featuring InterDigital’s Rob Stien. Rob Stien, Vice President of Government Relations & Regulatory Affairs, InterDigital, Inc.
You won’t want to miss this informative and exciting discussion! Attending CES? The panel is located in LVCC, North Hall, N254. Can’t make the show? Live stream the panel by clicking here. 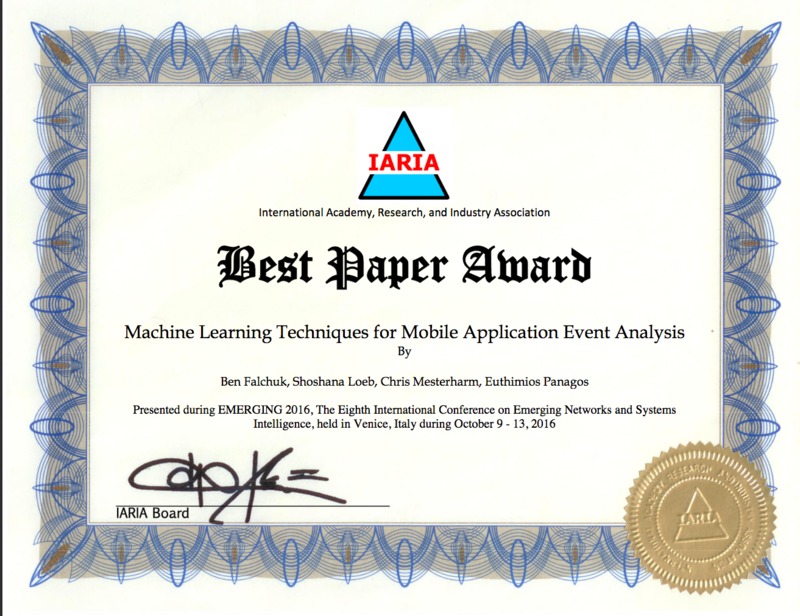 In October 2016, the International Academy, Research and Industry Association (IARIA) hosted its eighth International Conference on Emerging Networks and Intelligence, and last month awarded five “Best Papers” from the event’s call for papers including a submission from an InterDigital engineer and her collaborators. IARIA’s International Conference on Emerging Networks and Intelligence, EMERGING 2016, serves as a platform to present and evaluate the advances in emerging solutions for next-generation architectures, devices, and communications protocols. The conference solicits technical papers from academic, research, and industrial contributors that focus on topic areas such as computing trends, mobility and ubiquity, intelligent services, applications and services, semantics and adaptation, among others. InterDigital’s Shoshana Loeb along with Applied Communication Sciences’ Ben Falchuk, Chris Mesterharm, and Euthimious Panagos, submitted a research paper titled, “Machine Learning Techniques for Mobile Application Event Analysis,” which was recognized as one of the five top papers. The “Best Papers” award was based on review of the original submission, the camera-ready version, as well as the presentation during the conference. The paper explains how JumpStart, a real-time event analytics service, utilizes machine learning techniques to empower developers and businesses to both identify users exhibiting similar behavior and discover user interaction patterns that are strongly correlated with specific activities. The discovered patterns can then be used to enable contextual real-time feedback through JumpStart’s complex event pattern matching. The mobile industry is characterized by global standards, and various standards-based solutions are being proposed by organizations such as the 3GPP, ETSI and oneM2M™ for the Internet of Things. As an industry leader, InterDigital has been an active contributor to the development of standards-based IoT from the beginning and continues to help drive the efforts, which can be seen in some of the recent efforts and involvement of our engineers. In early November, InterDigital’s Dale Seed, Principal Engineer, IoT Research and Development, led a webinar that provided an overview of new features and functionality supported by a newly-published Release 2 version of the oneM2M™ standard. oneM2M™ is a global organization creating a scalable and interoperable standard for communications of devices and services used in M2M applications and the IoT. Missed the webinar? Check out the recorded version here. A few weeks later, Dale participated in a panel session alongside industry experts from Nokia, Sierra Wireless, Qualcomm and ETSI at the Grand Slam ’16 Internet of Things Virtual Conference. The panel, titled “oneM2M™ Release 2: Setting the Standard for IoT Interoperability,” highlighted the role oneM2M™ plays in providing interoperability across a number of IoT connectivity protocols. InterDigital’s IoT team also participated in ETSI’s IoT/M2M Workshop 2016 which took place from November 15-17, 2016 in Sophia Antipolis, France. Owen Griffin, Senior Manager, InterDigital Europe, presented on the oneTRANSPORT initiative and the role of InterDigital’s oneMPOWER™ powered by wot.io™ within the smart transport initiative. Also at the workshop, the team demonstrated how the work within the oneTRANSPORT and Smart Routing initiatives allows data and platform integration through four United Kingdom counties as well as the city of Birmingham and brings the end user closer to data producers. Most recently, the company participated in TTA and ETSI’s 3rd oneM2M™ Interop event in Kobe, Japan. InterDigital participated and conducted joint testing to verify multi-vendor interoperability of oneMPOWER™ with other participants. The company has been a participant along side industry leaders such as Cisco, HERIT, Huawei, KETI, Ricoh and Qualcomm since the event’s inception in September 2015. For more information on InterDigital IoT solutions, please click here. While the 5G story is still being written, the requirements to deliver that story are well-known and seem to point towards the collaboration of multiple standards bodies. The challenging requirements also prove a need to look beyond the “traditional” mobile standards leaders of Third-Generation Partnership Project (3GPP) and Global System for Mobile communication (GSM). In a recent NetworkWorld article, InterDigital’s Alan Carlton explains why the Internet Engineering Task Force (IETF) will be key for standardizing 5G. Alan explains that while the 3GPP will continue to play an important role, the IETF will specify a significant number of key 5G protocols. The collaboration of the 3GPP and the IETF is not necessarily a new relationship, but actually a continuation of a trend started back in the development of 3G. 3GPP liaised with the IETF, who was then developing all of the protocols for the emerging Internet, throughout the development of 3G to avoid duplication of functionality, according to Alan. However, with the coming of 5G, it seems the IETF will play a much more integrated and critical role than with previous generations of mobile networks. By giving its employees paid time off to vote on Election Day this year, InterDigital is joining over 250 other technology companies, including Spotify, Autodesk and SurveyMonkey, in the TakeOffElectionDay campaign. “We are proud to join this campaign as a way to support civic engagement and political participation by our employees,” said Jannie K. Lau, Executive Vice President, General Counsel and Secretary of InterDigital. On Tuesday, November 8th, all of InterDigital’s U.S. offices will open at 1:30 p.m. in order to allow employees ample time to vote. Moreover, all employees who bring in an “I Voted” sticker or other reasonable proof of voting that afternoon will be entered into a raffle for prizes. “I applaud this step. This is a big help for me since I have a long drive and it has always been a race in the evening to make it to the poll booth in time,” commented Sudhir Pattar, Senior Staff Engineer. Check out a complete list of participating companies here! Hofstra University will host the first presidential debate on September 26, 2016. The University, which hosted presidential debates in 2008 and 2012, will be the first university to host debates in three consecutive presidential election years. As a lead-up to the first 2016 presidential debate, the University has organized an interdisciplinary debate program titled, Debate 2016. Debate 2016 is a series of 25 events – including an Internet of Things panel featuring two experts from InterDigital – that addresses issues such as race relations, international trade agreements, foreign policy, public education, infrastructure, and federal budget policy. “Internet of Things – Technology, Standards, Policy, and Opportunities,” will be a panel discussion comprised of industry experts including Jim Nolan, EVP, IoT Solutions, InterDigital; Bob Wild, Senior VP of Intelligent Production Solutions; Christopher Cave, Director R&D, InterDigital; and Joshua Mecca, President and co-founder of M&S Biotics, LLC; on Thursday, September 22. The panel will discuss the progress and challenges in merging multiple technologies together to create the IoT. The panelists will also cover how industry standards, government policies and regulations help facilitate emerging IoT use cases. Click here to learn more about the debate or to learn more about the IoT, please visit the vault. Beyond grateful. This is the phrase local inventor, Charles Paris, uttered when asked about his recent experience working with a few members from InterDigital’s legal team. Charles, along with partner Karen Parenti, needed assistance with a patent application for audio loud speakers, so they turned to the Delaware Patent Pro Bono Program, which introduced them to a small team comprised of individuals from InterDigital’s legal department. The Delaware Patent Pro Bono Program launched in November 2015 as part of the United States Patent and Trademark office (USPTO) program that aims to provide free legal assistance to under-resourced inventors interested in securing patent protection for their inventions. The program is a collaborative effort of the Delaware Law School and registered patent attorneys of the Delaware bar, along with assistance from the USPTO. 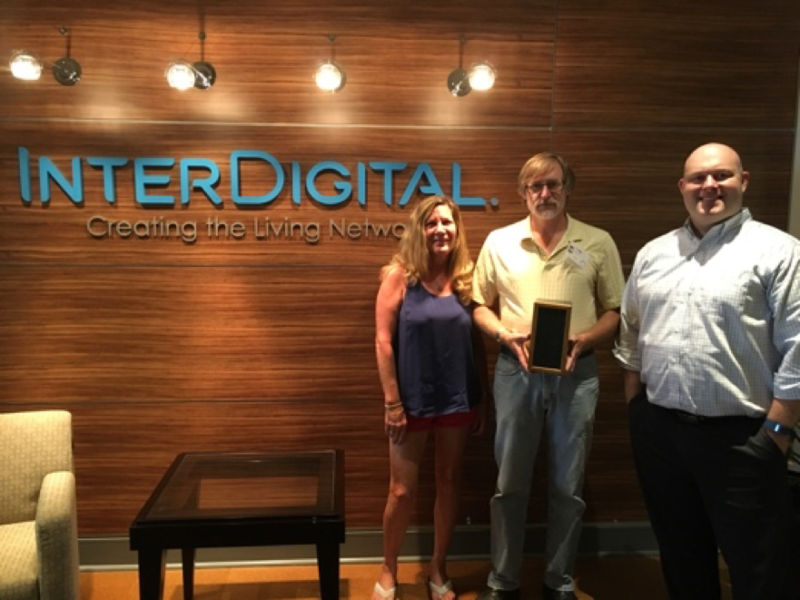 Pictured: Karen Parenti, Charles Paris and John Gillick with the audio speaker casing at InterDigital's Delaware office. InterDigital’s John Gillick, Senior Patent Counsel, saw the opportunity to participate in the Delaware Patent Pro Bono Program and registered to be listed individually as one of the available patent attorneys. John expressed his interest to get involved with a number of his colleagues, who proceeded to volunteer in supporting roles. In February, John came across Charles’ submission and after a brief interview agreed to help with writing the patent application. John made a visit to the inventors' home and spent hours thoroughly vetting the invention through challenging questions and prototyping. “We couldn’t have done a fraction of the thorough investigation on our own,” stated Charles. “John’s determination and focus helped us explore the idea to the fullest expression.” After thoroughly vetting the invention, John began the process of writing a patent application for the audio loud speaker casing. At this time, he pulled in a few of his colleagues to help with execution of numerous drafts. Patrick Igoe, Director, Partner Development, reviewed the application to provide additional input and Kathy Higgins, Patents Administrator Prosecution, assisted with the paperwork required to file an application as well as the extensive filing of the application. Overall, the work resulted in truly a team effort among InterDigital and the inventors! This is just one of two projects that the InterDigital legal team has taken on from the Delaware Patent Pro Bono Program this year. The team looks forward to continuing in the program and providing support to under-resourced local inventors in their journeys to secure patent protection. Click here to learn more about the Patent Pro Bono Program. You are probably all too familiar with typing in keywords or phrases into a Web search engine to find sites related to the content you want to discover. But in the connected world of the future, how is it going to work when your fridge needs to do a search for something? Alan starts off with a brief background on how current search engine technology works. He proceeds to cover why the current technology will not work for most IoT cases, therefore leaving us with a search engine problem in IoT. Finally, Alan discusses emerging solutions to that IoT search problem. Specifically, he examines a new type of search engine called a Resource Directory that is being defined in the Internet Engineering Task Force as well as the work being done in the Hypercat consortium. The LoRaWAN-connected dev kit was launched by LoRa Alliance members Semtech, Libelium and Loriot on August 11th. Following the announcement, Internet of Business published an article on the news which featured insight from InterDigital’s Jim Nolan, EVP, IoT Solutions. The LoRaWAN-connected dev kit is optimized for smart city, smart security, smart environment and smart agriculture applications as stated in the article. Internet of Business discusses how the creation of the development kit is a great example of how companies within the LoRa Alliance are working together to create complete solutions that are accessible to individuals, schools and companies of all sizes. The article addresses the topic of lock-in avoidance and includes a quote from Red Hat’s Russell Doty cautioning against proprietary IoT interfaces. A recent Machina Research study, commissioned by InterDigital, took a look at the impact of a fragmented proprietary approach versus a standards-based approach to IoT. The study uncovered that open standards in IoT deployments could accelerate growth by 27 percent and reduce deployment costs by 30 percent by 2025. However, there’s a plethora of connectivity options today for engineers and application developers working on products and systems for the IoT, including LoRaWan. So which standard will become dominant? The potential dominance of any standard for IoT will depend significantly on particular use cases and applications, as explained by Jim Nolan to Internet of Business. Click here to read the full article, or visit The Vault to learn more about InterDigital’s role in IoT. In millimeter-wave deployments, densification is a necessity, not an option, for a number of reasons. Recently, Senza Fili Consulting analyst Monica Paolini sat down with InterDigital’s Alpaslan Demir to discuss the role of densification in millimeter-wave bands. Alpaslan is a part of the team at InterDigital working on the next-generation millimeter-wave network that is addressing challenging problems in densification. He stated in the interview that, “the beauty of these frequencies is that the new bandwidth they make available is tremendously large” which “gives you the ability to increase densification.” Alpaslan went on to say that, “the more bandwidth you have, the more data you can transmit,” and explained that this ability is what makes millimeter-wave bands a priority for operators and why there is an overall industry push for that expansion. 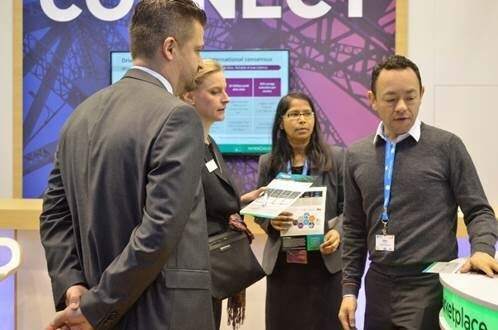 Last month, 5G World 2016 brought together a number of telecom industry leading companies, including InterDigital, to demonstrate their latest work in making 5G a reality and enabling services to run over it. On the floor of the show, 5G World TV caught up with InterDigital Europe’s Dirk Trossen on the latest innovations and 5G insight from the company. In the video, InterDigital Europe’s Dirk Trossen demonstrates and explains our Next Generation Networks platform, which provides a flexible routing solution (FLIPS) based on an Information Centric Networking (ICN) approach. The platform is a hybrid of pure ICN and IP, to leverage the best of both: re-introducing multicast, particularly for HTTP unicast scenarios, as a way to drive down bandwidth costs. The technology has been developed in collaboration with other collaborators from the EU-funded collaborative research and development projects, POINT ("iP Over IcN —the betTer IP") and RIFE (aRchitecture for an Internet For Everybody). In addition, FLIPS recently became ETSI's MEC Industry Specification Group's fourth proof-of-concept. Check out the video below or click here to learn more on Next Generation Networks! It’s about the expansion of capability, not the expansion of connectivity states InterDigital’s Chonggang Wang in a recent Wireless Week article focused on IoT. He explains that the world continues to see IoT primarily in terms of connections. However, it’s the transformational value of IoT on business that really matters, and that in turn will be the driver of connectivity. In the article, Chonggang explains not only why there is a need for true interoperability, but also provides examples of how we can achieve the interoperability needed in different scenarios. He stresses that it won’t be enough to simply add billions of devices and connect them, we will need to organize the connections in new ways. City authorities and their technology partners could squander $341 billion by 2025 if they adopt a fragmented versus standardized approach to IoT solution deployment. This statistic was uncovered in a report from Machina Research, commissioned by InterDigital, that focuses on the importance of standardization in IoT deployment. Recently, InterDigital’s Alan Carlton participated in a Q&A session with IT Pro Portal to discuss the report further. In the Q&A, Alan explains why fragmentation has occurred and what must be done to ensure the continuous evolution of the IoT. “Standards are already in place at national and sector specific levels but the volume of different standards makes it difficult for verticals and industries to implement interoperable standards,” states Alan when asked why this fragmentation occurred as IoT evolved. He describes that a clear framework, preferably a bottom-up method, needs to be put in place to encompass all standards and enable the integration of data across silos. Click here to read the full Q&A or to download the Machina Research report, click here. If you’ve been on the floor of a Mobile World Congress event, you’ve likely read (or at least have seen) a copy of Mobile World Daily, the official publication of Mobile World Congress events. Mobile World Congress Shanghai 2016 kicked-off yesterday and along with it came the day one issue of Mobile World Daily featuring the latest coverage and analysis of event news. Among the top stories? Standards' role in smart cities with statistics from a recent Machina Research report commissioned by InterDigital. The story, titled “Standards can sharply lower smart city costs,” features insight from Chris Heckscher, VP of service provider sales at Cisco, on how standardization can substantially lower costs of IoT deployment. Heckscher explains that deploying IoT solutions without interoperability standards would add $341 billion in costs worldwide by 2025. This statistic comes directly from the recent Machina Research report, which analyzes potential IoT deployments in smart cities. The report, which launched in early May, shows that using non-standardized versus standards-based solutions for IoT will increase cost of deployment, hinder mass scale and adoption, and stifle technology innovation for smarty city initiatives worldwide. Click here to read this edition of Mobile World Daily, or view the full Machina Research report here. Last month, InterDigital released an insightful report by Machina Research that revealed open standards in IoT deployments could accelerate growth in smart cities by 27% and reduce deployment costs by 30%. Analyst and Managing Director of WiFi360, Adlane Fellah, recently cited this statistic and more in an excellent article in which he explores the growth of the IoT. The growth of the IoT as it relates to smart cities can take one of two directions – the current fragmented path or a more efficient and beneficial standardized path, states Adlane in the article. He details why standardization is so important for smart cities and lists a number of drivers for adoption of standards in IoT for smart cities. For example, standards consolidate and shape the market for third-party developers by ensuring that there is a sustainable market for their activities. In close, Adlane explains why the IoT in smart cities cannot be accomplished without carrier-grade Wi-Fi deployed throughout the city. Read the full WiFi360 article here or to download the full Machina Research report, click here. The amount and variety of content in video is constantly changing. The continuous evolution creates a need for continued compression and standards evolution. Recently, engineers have developed a new extension to HEVC called Screen Content Coding. InterDigital’s Dr. Yan Ye, Director of Engineering, discusses this new extension in a recent article published on StreamingMedia.com. Screen Content Coding (SCC) extension to HEVC is designed for the new variety of screen-captured content beyond the conventional camera-captured content. The new variety refers to captures from video games and tutorials, which feature animation, text and graphics along with camera-generated video. In the article, Yan describes how SCC further improves coding efficiency for this type of screen-captured content in two main areas – compression efficiency and flexibility. She also explains the compelling results of the standards project, which wrapped up in February of this year after nearly two years of development. Ultimately, SCC will enable a better video experience for any video products that need to efficiently deliver a large amount of screen-captured video content. Click here to read the full article, or to learn more about video, visit The Vault. The Internet of Things (IoT) market continues to grow, but there is a major industry concern that could cause growth to the hit the breaks a little – security. IoT security is a multi-layered problem that includes added complexity from supplier diversity and legacy systems. In a recent Internet of Things Today article, InterDigital’s Yogendra Shah and Gemalto’s Francois Ennesser explore security solutions and services for the IoT. The article opens with a characterization of security in the IoT context and clearly illustrates the current IoT security problem. Yogendra and Francois explain how the global oneM2M™ standard architecture enables IoT applications. oneM2M’s platform architecture consolidates the essential components of any IoT application into a three-layer model to ensure a consistent and modular framework for IoT application developers and users as stated in the article. 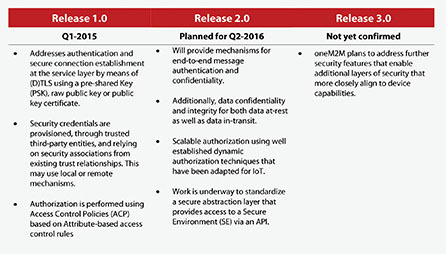 Finally, the pair details the standards’ hop-by-hop security strategy as well as a long-term road map. Want to know more? Read the full article here. City authorities and their technology partners could squander $341 billion by 2025 if they adopt a fragmented versus standardized approach to IoT solution deployment. This warning comes from Machina Research in a new white paper, commissioned by us, that analyzes potential IoT deployments in smart cities. The report shows that using non-standardized versus standards-based solutions for IoT will increase the cost of deployment, hinder mass scale and adoption, and stifle technology innovation for smart city initiatives worldwide. Mobile Europe: Non-standardised tech "could cost smart cities billions"
Interested in reading the full report? Download it here. Or get more information on InterDigital’s work in IoT, click here. “Picture this: you are in an open-plan office, and you need a stapler...” This is how InterDigital’s Alan Carlton, Vice President of InterDigital Europe, begins his real-world analogy that explains the publish-subscribe model used by Information Centric Networks (ICN) in a recent NetworkWorld article. In the article, Alan explains what ICN is, why it is important and the role it will have in next-generation 5G networks. He describes to the reader how ICN will play a role in 5G for some very good reasons that include ICN will provide much-needed efficiencies, performance improvements and will align networking architecture with the Internet of Things (IoT). IoT follows the same exact model, publish-subscribe, as ICNm explains Alan in the article. Want to know more? Click here to read the full article! Think back to a Friday afternoon in high school… you probably couldn’t wait to get out of the building and go out with your friends or catch up on your favorite television show. But, last Friday, roughly 50 high school students from George Washington Carver High School for Engineering and Science located in Philadelphia, PA elected to stay at school to learn about preparing for a future in a STEM-related field. InterDigital’s John Kaewell, Engineering Fellow, organized a group of engineers that included Mike Jeronis, Vice President, Research & Development; Catalina Mladin, Member of Technical Staff; and Bob Flynn, Senior Staff Engineer, to participate in a STEM mentoring session led by Dr. Ted Domers, Principal of George Washington Carver High School of Engineering and Science. The mentoring session consisted of InterDigital staffers rotating through four round table discussions with the highly motivated students. Students posed questions such as how did the engineers choose their university, what is 5G, what programing languages and tools are used in their work, what a typical work day contained, and what’s the most valuable advice the engineers ever received. It was an extremely successful session for both the students and the engineers! So much so that the group plans to tour the students around the InterDigital offices and attend another mentoring session in the fall. Kudos to John for leading this great opportunity! The mentoring event is just another example of how committed InterDigital is to investing in the ideas and people of the future. We’ve supported several local STEM-related efforts, including sponsorships of the Delaware Children's Museum Junior Engineers Program and a wireless communications laboratory at Delaware State University. Click here to see more on InterDigital and STEM education. High speed and low latency are expected to be cornerstone 5G requirements, particularly for the delivery of virtual reality and augmented reality. 5G-Crosshaul, a Horizon 2020 PPP project cofounded by the European Commission, recently highlighted how InterDigital utilized its EdgeHaul™ millimeter-wave mesh backhaul technology to deliver a live, functioning virtual reality telepresence use case at Mobile World Congress 2016. 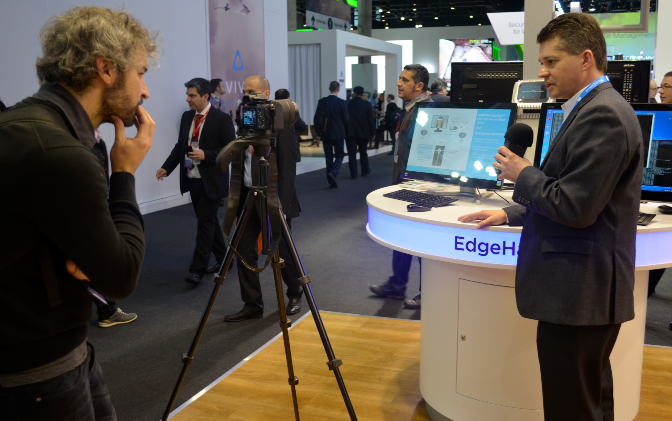 5G-Crosshaul shared a video of Doug Castor, Senior Director, InterDigital, demonstrating EdgeHaul at MWC 2016. In the video, Doug demonstrates how the platform is a solution for gigabit connectivity for today’s applications such as small cell backhaul, residential broadband, and carrier Wi-Fi cable extension. He goes on to explain how the solution is also a development platform for the emerging 5G challenges that will demand low latency and multi-gigabit dense networking. In the near future, InterDigital’s EdgeHaul will extend to support multiplexed fronthaul traffic, and be integrated with the 5G-Crosshaul. The 5G-Crosshaul project, comprised of 21 partners, aims to develop a 5G integrated backhaul and fronthaul transport network that will enable a flexible and software-defined reconfiguration of all networking elements in a multi-tenant and service-oriented unified management environment. To learn more about the project, click here. “The coming of “5G” will resolve a variety of network issues, but in video it will only make the situation worse,” stated InterDigital’s Dirk Trossen in the first article of his two-part series on video delivery featured in RCR Wireless News’ Reader Forum today. In the article, Dirk discusses how video is a source of pain for cable companies and mobile operators due to the use of a technology, and delivery via a network architecture, that was designed with general data in mind. He warns that while 5G will resolve some network issues, it is not the solution for video. Dirk explains that the demands of the future will require more than just a turbocharge of the current approach – it will require a whole new approach. Keep reading here. And stay tuned for a follow-up from Dirk that covers finding a better way. At InterDigital, Dirk is responsible for driving the development of systems and solutions that improve the overall end user experience, with a focus on mobile network architecture. And he was recently recognized among the top 50 industrial IoT and 5G industrialists and innovators by RCR Wireless for his leadership in multiple European 5G projects. For more information on the European 5G projects, click here. Or to read Dirk’s full article, please click here. Plus, check back for a a link to his follow-up article that explores a better way to connect video demand and network resources. Brian G. Kiernan, former vice president and chief scientist of InterDigital, has been recognized for engineering excellence by Newark College of Engineering at New Jersey Institute of Technology (NJIT). Brian’s alma mater recognized him with the Outstanding Alumnus Award at the 2016 NCE Salute to Engineering Excellence on March 9, 2016. Kiernan worked at InterDigital, or its predecessor companies, for close to thirty years in various roles. As former vice president and chief scientist at InterDigital, Kiernan was responsible for worldwide industry standards activities and aided in the development of new market, product and technology initiatives. Presently, Brian remains an active NJIT alumnus as chair of the University’s Undergraduate Research and Innovation External Advisory Board, a member of the ECE Department’s Industry Advisory Board, and a member of the Highlander Angel network. Take a look at the announcement by NJIT here – Congrats, Brian! The Internet of Things (IoT) raises unique challenges when it comes to privacy. For example, IoT privacy must focus on the individual. This is according to InterDigital’s Juan Carlos Zuñiga, principal engineer, in a recent post featured on IoT Global Network. Juan Carlos explains that with IoT privacy we need to defend not only the individual that owns the device, but all individuals as they can be surrounded by devices that don’t necessarily belong to them. How do we start to do that? Keep reading here. To learn more about the IoT, visit the InterDigital vault or type “IoT” into the search box above. What is 5G and how is it going to affect your life? CNBC’s Arjun Khrapal posed these questions and more to InterDigital’s CEO Bill Merritt and Wireless Broadband Alliance’s CEO Shrikant Shenwai in an interview at Mobile World Congress 2016. “5G is a revolutionary change in networks because it will enable a whole host of services that to date have not been available,” stated Bill. “Much like Internet in the 1980’s changed peoples lives, 5G will do the same thing.” It is anticipated that 5G will provide all new data services that consumers can get from people aggregating data that’s being collected over the networks. For example, some of the big areas will be smart cities, home automation, enhanced health services, smart transport, etc. "The consumer will have the ability to bring everything together and manage it much more effectively," explains Shrikant. Also part of the conversation, the Internet of Things and its tie to 5G, the challenges of standardization, industry collaboration and the roadmap of 5G to the consumer. Click here to watch the full interview. And to learn more on 5G, visit the InterDigital Vault! The intelligent transportation system category is one of the most pertinent subcategories of IoT in the smart cities market. One of the earliest projects in this area is the oneTRANSPORT project, which has emerged from Innovate UK’s integrated transport initiative. Recently, Computer Weekly published an article that takes a closer look at the project and its partnerships. The article focuses specifically on two of the project’s eleven partners – Buckinghamshire Council and InterDigital Europe. David Aimson, project manager, Buckinghamshire Council, describes the project as a smart city solution for a suburban area. He explains that the council joined the project looking for a solution to merge and commercialize their datasets. The oneTRANSPORT project utilizes InterDigital's oneMPOWER™ standards-based platform to integrate fragmented datasets into a holistic application that can result in more efficient transport systems. Rafael Cepeda, Senior Manager, InterDigital, dives into the importance of an open standards-based platform. IoT is built primarily on the concept of interoperability and the only way to create interoperable applications is through open standards. oneTRANSPORT seeks to enable interoperability beyond just big cities, but to suburban and rural communities as well. This is a critical advantage for partners such as Buckinghamshire Council who seek to commercialize data effectively. It allows for potential transport apps and services to extend beyond the Buckinghamshire borders and into neighboring territories resulting in better end user experience. Want to know more? Keep reading here. Mobile World Congress (MWC) 2016 is well underway! As the industry’s largest event, there is a ton to see across the floors of the Fira Gran Via and Fira Montjuic in Barcelona. The Fast Mode, a leading news outlet for global telecom, is compiling snapshots from all around the event on their blog– and included InterDigital! The blog post titled, “MWC Barcelona 2016 – The Sights and Scenes from Fira Gran Via” displays four snapshots that highlight InterDigital. The snapshots show our booth layout, our EdgeHaul™ millimeter-wave mesh backhaul technology, our 5G access technology platform and Bill Merritt, Chief Executive Officer, interviewing with CNBC on 5G. Take a look to see what’s happening all around the MWC here. 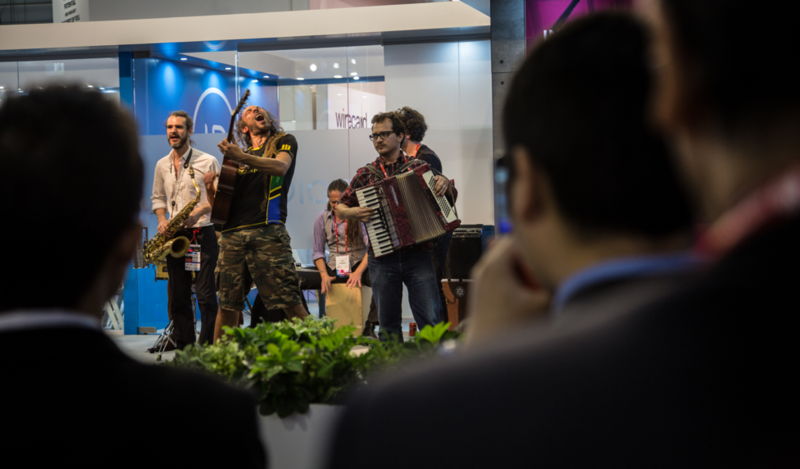 Today is day 4 – the final day of MWC 2016! Day 4 may be shortest day as the event closes at 4 PM CET, but the booth will still be full of visitors, demonstrations and meetings. Enjoy and be sure to check back next week for links to all the content we’ve captured at the event! Dr. Rafael Cepeda demonstrating oneTRANSPORT, a smart city initiative driven by InterDigital and ten partners. Nick Podias explaining how our oneMPOWER™ platform enables home and health use cases. Bob Gazda helping a visitor try out the telepresence use case presented over our EdgeHaul™mmW solution. Want to see what’s happening in the booth today? Once again, we will use our millimeter wave 5G technology to stream the below live feed from the InterDigital booth! Also, the band will be back for a final performance tonight! Tune in below or stop by Hall 7 stand 7A71 at 5:30PM CET (11:30 AM EST). In just 30 minutes, your guided tour of the booth along with interviews of some of our experts will be available below. Get ready to tune in for some great insight into what we are showcasing at MWC ’16! Plus, don’t miss a lively performance from The Mananers, a popular local band (pictured), at 5:30PM CET (11:30AM EST) via the live stream above! Day two of MWC holds a lot of excitement! We will stream a tour guided by Patrick Van de Wille, Chief Communications Officer of InterDigital in which he will talk with some of our subject matter experts on the main topics and demonstrations within the InterDigital booth. The audio and video will be streamed live at 3:30PM CET (9:30AM Eastern). Check back around 3:00 PM CET (9AM Eastern) for more details. We are also involved outside of the booth! Alan Carlton, Vice President of InterDigital Europe, will provide closing remarks at an executive luncheon presented by FierceWireless and sponsored by Ascom, InterDigital and Qualcomm. The luncheon titled, “The Path to 5G: What Operators Need to do to Prepare for the Network of the Future,” will feature a panel discussion that explores the 5G vision and disruptive new technologies that are emerging in new spectrum bands such as millimeter wave. Remember to check out the live stream below to see what’s happening in the booth! Welcome to our live blog post directly from our booth at Mobile World Congress 2016, Hall 7 stand 7A71! This post is the spot to be kept up to date with everything going on at the event. We’ll continue to add to this post throughout the week, so check back often for updates. 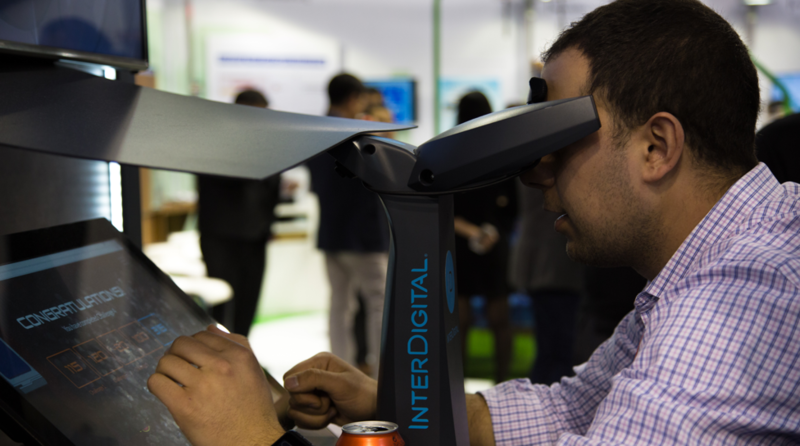 Watch the below live feed from the InterDigital booth at MWC 2016, using millimeter wave 5G technology to stream virtual reality with ~1 millisecond latency. The mobile industry will descend onto Barcelona next week to see the latest technological developments, next generation services and growth strategies at Mobile World Congress (MWC), the industry's premier conference. In order to sift through the noise, Strategy Analytics, a leading research and analytics firm, issued a report that lists the top 10 priorities for the show – and InterDigital made the cut. The report, titled “MWC 2016: Your Pocket Guide,” recommends the top 10 handsets and topics as well as the key industry leaders within the topics at MWC. For handsets, the Strategy Analytics list includes the Samsung Galaxy S7, LG G5, Huawei P9 and HTC One M10 among others. As far as industry topics, the pocket guide advocates 5G and Virtual Reality as among the leaders. According to the report, “…5G represents the next 10 to 20 years of mobile phones and IoT. 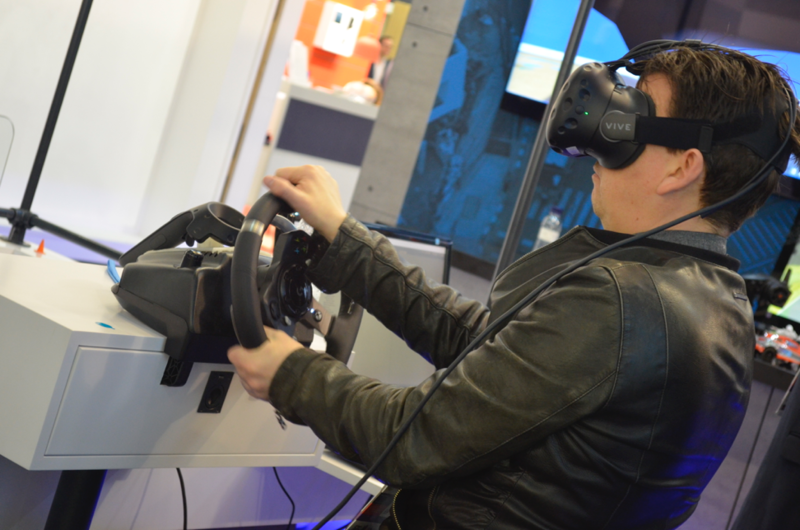 We expect companies like Qualcomm, Ericsson and InterDigital to be right at the forefront of 5G demos or presentations at MWC 2016.” As far as Virtual Reality, the firm predicts that Samsung Gear VR, HTC Vive and Google Cardboard will be among the best devices for trial at the show. This mention underscores InterDigital’s long history as a leader in mobile technology development and highlights the strength of the company's research and contributions to the industry. The company recently announced that it will showcase a number of working 5G access and network solutions years ahead of broad market rollout at MWC 2016. Wi-Fi increasingly has become an essential part of the 4G picture and it is predicted to take on an even more integrated role in 5G networks. Similar to prior generations, the 3rd Generation Partnership Project (3GPP), the mobile broadband standard, has taken the lead in driving the 5G radio standards process. With 3GPP at the forefront, there are questions of where Wi-Fi’s standards organization, IEEE 802.11, fits into the process. This is the topic of a recent Wi-FI360 blog post authored by Caroline Gabriel, Research Director & Co-Founder of Rethink Technology Research, a distinguished firm in wireless research. In her post, Caroline states that the IEEE 802.11 group has the potential to influence the 5G process, but needs to determine the best approach. She dives into whether or not IEEE 802.11 should form a closer relationship with the 3GPP to ensure alignment between the Wi-Fi and cellular in the standardization process. Caroline references a presentation from InterDigital’s Joseph Levy, principal engineer, in which he discussed the development of the relationship between the two sets of standards. In his presentation, Joe outlined the potential for 802.11 to be a 5G RAT within the 3GPP architecture and argued that the Wi-Fi community would enrich the 3GPP process. The 802.11 agenda dovetails with the mutli-RAT architecture which is believed to be essential for the support of 5G use cases such as multi-gigabit video to ultra-low power M2M to ultra-dense venue networks. However, 5G will be more than just RATs. It will also deal with core network and other areas that include IP standards, higher network layers and applications. It may also be the last generation in which the 3GPP takes the lead in defining standards at the radio level. Therefore, Caroline states that it is an important year for the IEEE 802.11 to push itself forward as a key participant. In the article, Alan discusses what he refers to as the true vision for fifth generation mobile networks. He explains that in 5G wireless will grow into a truly horizontal industry that provides support for literally everything. To face this challenge, 5G will need to be built on a foundation of established IT thinking that takes the technologies to new levels and depth of integration. Finally, Alan briefly explores one of the hottest topics in telecom today, Software Defined Networking (SDN)/ Network Function Virtualization (NFV), and how these concepts will be utilized in 5G. With over 25 years in the wireless technology industry, Alan’s well suited to provide valuable insight into the future of mobile. He currently leads 5G and Internet of Things research efforts at InterDigital Europe. His team actively participates in three EU projects funded by Horizon 2020, the €80 billion European research and innovation program focused on the development of 5G, as well as a European Commission study of socioeconomic impact of 5G. Click here to read the full article and stay tuned for the latest from Alan! Tunable RF Components and Circuits: Applications in Mobile Handsets, a recent CRC Press published book, features industry perspective on key tunable technologies and applications including a chapter written by two InterDigital principal engineers – Alpaslan Demir and Tanbir Haque. The book intends to give readers a technical introduction to the state of the art in tunable radio frequency components, circuits and applications. It provides a foundational overview that covers tunable RF components ranging from tunable antennas to power amplifier envelope tracking concepts. The book opens with a market overview written by the editor, Jeffrey L. Hilbert, president and founder of WiSpry, Inc., a world leader in tunable RF technology, and features thirteen chapters from multiple contributors that are among the leading practitioners in the field. In the chapter titled “Case Study of Tunable Radio Architectures,” Alpaslan and Tanbir provide a system architecture perspective to show how individual tunable RF components are tied together. The protocol stack interaction has been captured based on a Wi-Fi and LTE coexistence use case. Combined the two experts provide over 40 years of industry experience focused in RF systems and hardware. Click here to learn more and access a preview of the book. With the new year right around the corner, experts across the mobile ecosystem are discussing potential key trends for 2016 that include the impact of new architectures as well as emerging technologies on networks and the business. InterDigital’s Chris Cave, Director, Research and Development, recently participated in a webinar conducted by RCR Wireless along with industry experts from Recon Analytics, 4G Americas and Sonus to examine what 2016 will bring. The forward-looking panel discussion focused on topics such as assessments of the status and importance of VoLTE, VoWi-Fi, 5G, virtualization and LTE-U, as well as hiring trends and new business structures. A big thing to look forward to in 2016? The overall kick-off of studies towards a new 5G radio interface. As Chris explains in the webinar, it will be a long process…but next year will be particularly important as it when the basic building blocks for future systems will be identified. To listen to more of the panelists’ predictions, and view the full on-demand webinar, please click here. In addition to the webinar, RCR Wireless News published a report titled “2016 Predictions” that takes an in-depth look at the 2016 expectations for workforce needs, network topologies, 5G standardization, emergence of new technologies and more. Check out the special report here. With increases in demand for video and next generation services, content needs to live closer to the end user. Therefore, a possible key piece to realizing the full potential of 5G could be the information centric network (ICN). Recently, InterDigital Europe’s Dirk Trossen, principal engineer, sat down with RCR Wireless News’ Jeff Mucci, CEO and Editorial Director to further discuss the role of an ICN. “An information centric network is a network where the information itself is identified, instead of sending a packet from an IP address...you’re streaming information and the actual information is at the center,” Dirk explains to Jeff. He goes on to talk about the current problem that carriers face and the approaches, CDNs and overprovisioning, being used to solve the problem. He clarifies that the current approaches will not be sustainable when you consider the demands that 5G will create. Dirk provides Jeff with an example of a potential 5G network model and describes how ICN will fit into the 5G picture. Finally, he provides insight into what he feels will prompt carriers, over-the-top players and other service providers to embrace this new network. InterDigital’s Jim Nolan, EVP, InterDigital Solutions, recently provided an exclusive interview to m2mnow, a leading global IoT news source. In the interview, Jim discusses the oneM2M standard along with InterDigital’s role in Internet of Things (IoT). “You can look at oneM2M as a ‘standard of standards’,” states Jim in the interview. He explains that the oneM2M standard is so important because it takes a truly horizontal approach and applies across different industry verticals. In fact, Jim cites this as one of the main reasons for InterDigital’s involvement with oneM2M. The company has concentrated its IoT efforts on standards-based solutions and the suite of horizontal services necessary to enable multiple IoT applications across multiple verticals. To close the interview, Jim extends advice to companies that are deploying IoT services and solutions. He suggests that they focus on standards-based solutions that have an eco-system of multiple solution providers in order to have multi-vendor interoperability. Want to hear more from Jim? Read the full interview here. 5 Potential Waves – Which Will Carry 5G? 5G will require many fundamental changes and innovations to the overall network architecture as well as exploit new system degrees of freedom. This includes the consideration of other potential waveform candidates. Wireless Week published an article written by InterDigital’s Dr. Afshin Haghighat, senior staff engineer, that discusses potential 5G waveform candidates that can overcome limitations of the orthogonal frequency multiple access (OFDM) waveform. The article, titled Which Wave Will 5G Ride, examines five potential waveform candidates that Afshin and his colleagues recently reviewed in this EURASIP editorial. The five waveforms? Faster-than-Nyquist, Filter Bank Multi-Carrier, Universal Filtered Mutli-Carrier, Zero-Tail DFT-s-OFDM and Generalized Frequency Divison Multiplexing. Afshin provides a brief explanation of the five waveforms along with their key benefits. The waveform that 5G will rely on is still to be determined. However, Afshin expresses that there is one clear thing: when it comes to 5G and waveform, one size will not fit all. Click here to read the full article or learn more on 5G at the vault. InterDigital’s Dirk Trossen, Principal Engineer, recently joined RCR Wireless’ Dan Meyer in an episode of NFV/DSN Reality Check. During the episode, Dirk discusses the role of NFV and SDN in 5G along with the recent IP-over-ICN-over-SDN implementation demonstrated by a team of academic and industrial researchers from InterDigital Europe and University of Essex. Dirk explains virtualization is present everywhere in 5G – radio access, core network space, etc. 5G will not just be about a bigger pipe. It is expected to be an extremely intelligent generation of mobile technology. Dan and Dirk discuss some of the industry challenges on the path to 5G. For example, Dirk points out that rethinking owner infrastructure and the ability to get mobile operators to release some control is a major challenge that the industry will face in this evolution. D. Ridgely (Ridge) Bolgiano, former Vice President, Research, and Chief Scientist at InterDigital and longtime member of its Board of Directors, passed away on October 3, 2015. Ridge was a scientist, engineer, inventor and relentlessly creative mind who helped found and grow what has become an almost $2 billion publicly traded company, owned and operated a network of radio stations, made enormous contributions to his alma mater, and lived a unique life. At InterDigital, Ridge helped pioneer many of the developments that launched the mobile device industry, which today totals $3 trillion in value around the world. Ridge invented several of the company’s key products (one of which is on part of the Museum of Modern Art permanent collection) and contributions to mobile, and pioneered the company’s licensing program. 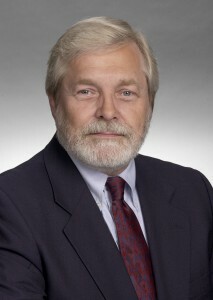 Ridge was Vice President, Research, and Chief Scientist at InterDigital until his retirement in 2008, served on the company’s Board of Directors until 2009 and was inducted into InterDigital’s Hall of Fame in 2006. For InterDigital and its predecessor companies, he is a named inventor in 25 issued patents in the United States and over 100 more patents and applications worldwide. Ridge graduated from Haverford College with a degree in physics, specializing in Radio Frequency Transmission and Propagation. In addition to his work as a scientist and engineer, he owned and operated several radio stations (Key Broadcasting) in the Philadelphia area. Across the world, urban transport is feeling strain from environmental pressures and congestion. A recent video, published by ARUP, explains how smart mobility initiatives like oneTRANSPORT and Drive Smart are helping cities tackle the growing problem. oneTRANSPORT uses Internet of Things technology to share existing transport data to enable expert developers and analytics communities to develop new public information services and tools. The project aims to improve travel experiences for customers and generate new revenues for local authorities on a truly nationwide basis. The two-year commercially-focused project was proposed by a consortium that consists of eleven partners including ARUP and InterDigital Europe. Drive Smart is a program that offers benefits to New York City drivers through an extensive in-vehicle data collection while designed to reduce congestion, pollution and crashes. ARUP created the program alongside New York City Department of Transportation to help drivers save time and money and drive safely. Smart mobility is about making transport networks safer, more sustainable and efficient. Initiatives such as oneTRANSPORT and Drive Smart are designed to take transport to the next level and change the world a little bit. Click here to watch how intelligent transport services can change the way cities move. A new report by Jim Kohlenberger, President of JK Strategies and former Chief of Staff in the White House Office of Science and Technology Policy, examines the power and promise of 5G technology, as well as policy recommendations to maximize the social benefits of 5G. InterDigital wasn’t involved in the report but we are, as always, interested in developments related to 5G research. “Mobilizing America: Accelerating Next Generation Wireless Opportunities Everywhere” proposes a comprehensive strategy to ensure U.S. global leadership in the wireless revolution. “The next wireless revolution will need to be about more than blazing fast speeds,” says advocacy group Mobile Future, which commissioned the report. The 5G revolution is also an opportunity to address the nation’s toughest challenges; accelerate access to more spectrum; lower barriers to mobile investment; revive American R&D; and fill the talent pipeline. Echoing the conclusions of the recent TIA 5G Operator Survey (which was sponsored by InterDigital), the report points to several signs that other countries are working to surpass the United States in 5G innovation, including Europe’s investment in a 5G Public-Private Partnership, South Korea’s plans to launch a 5G trial network when it hosts the 2018 Winter Olympic Games, and China’s creation of an interagency “promotion group” to coordinate 5G activities among industry and academia. Mobile Future will host a free webinar on its report, featuring Kohlenberger and Mobile Future Chair Jonathan Spalter, on Friday, October 2, at 1:00 pm. Wi-Fi privacy refers to being able to safely use your Wi-Fi device without someone tracking you. IEEE 802 Privacy Executive Committee (EC) Study Group has suggested an amendment to the Wi-Fi standard in order to continue to ensure such privacy. Recently, InterDigital Principal Engineer and IEEE 802 EC Study Group chair, Juan Carlos Zuniga, discussed the suggestion with Claus Hetting in Wi-Fi Now Episode 8. In the interview, Juan Carlos explains to Claus how Wi-Fi privacy has become a concern and why the IEEE Study group proposed the solution to update the Wi-Fi protocol to use randomly generated MAC addresses to increase security and privacy. He also elaborates on possible implications with the proposed solution and estimates when the standard could be approved and commercialized. InterDigital’s Chris Cave, Director, Research and Development, recently joined RCR Wireless’ Claudia Bacco in a video interview on the path to 5G. During the interview, Chris and Claudia discuss four major topics related to the transition from LTE to 5G – spectrum, LTE evolution, network infrastructure changes and 5G use cases. Chris anticipates that LTE will continue to evolve in the existing 4G spectrum and will be a key component of 5G systems. Key topics that will be explored during this evolution include unlicensed bands as well as M2M and device-to-device communications that could play a major role in the connected car discussion. 5G is predicted to be everything you can imagine that can benefit from a wireless connection. This prediction makes use cases extremely important to 5G. Chris explains how he simplifies the 5G use case discussion into to two distinct categories - mobile broadband use cases and the connected world. Flexibility is certainly a key principle to the foundation of 5G RAN design, but it is only one part of the story. The second principle? Fine integration of existing and new radio access technologies. This is according to InterDigital Europe’s Alan Carlton, Vice President, and Alain Mourad, Senior Manager, in the final article of a three-part series on 5G featured in RCR Wireless News’ Reader Forum. In the article, Alan and Alain discuss the role radio access networks will play in the future of 5G. The two experts explain that a practical and viable approach builds on the principles of flexibility and fine integration. 5G tends to be an evolution of 4G, but the real difference is that 5G will aim at an inherently flexible design that can federate or integrate the multitude of RATS effectively, as stated in the article. The pair also references two European H2020 5G Public Private Partnership projects, Xhaul and ICIRRUS. InterDigital recently announced the kick-off of Xhaul, and InterDigital Europe’s involvement as a work package leader on the project. Xhaul aims to develop a 5G integrated backhaul and fronthaul transport network to flexibly and dynamically interconnect the 5G radio access and core network functions. Read the full RCR Wireless News article here. The 3rd Generation Partnership Project (3GPP), the mobile broadband standard, has re-elected Diana Pani, senior manager, InterDigital Labs group, Vice Chair of its Radio Access Networks (RAN) Working Group (WG) 2 for a second term. 3GPP RAN WG2 is in charge of the Radio Interface architecture and protocols (MAC, RLC, and PDCP), the specification of the Radio Resource Control protocol, the strategies of Radio Resource Management, and the services provided by the physical layer to the upper layers. Diana was first elected to the two-year term of Vice Chair of 3GPP RAN WG2 in 2013 and was re-elected by acclamation during RAN2#91 from August 24-28, 2015 in Beijing, China. Since joining InterDigital in 2004, Diana has worked on UMTS and LTE product design, research and development and standardization assignments. She is recognized as an expert in 3G and 4G cellular radio access, most notably L2/L3 protocol design as well as L1 system design. The 3GPP unites seven telecommunications standard development organizations (ARIB, ATIS, CCSA, ETSI, TSDSI, TTA, and TTC) to produce the reports and specifications that define 3GPP technologies. 3GPP specifications and studies are contribution-driven, by member companies, in Working Groups within four Technical Specification Group levels – RAN, Service & Systems Aspects, Core Network & Terminals and GSM EDGE Radio Access Networks. VideoEdge, a leading online publication dedicated to content production and delivery, recently published, “Pre-processing Could Help Push 4K/8K Through Limited Pipeline,” featuring Mari Silbey’s coverage of the Vantrix announcement that its open transcoding platform now supports InterDigital’s PerceptFX. PerceptFX works by filtering raw video, isolating and removing bits of data that are invisible to the human eye, quotes VideoEdge from the news analysis published by Sibley, senior editor Cable/Video at Light Reading. PerceptFX deals with the perceptual pre-processing then hands the content off to an encoder. Vantrix Media Platform, with support from PerceptFX, can be applied to offline video and live broadcasts. In August 2015, PerceptFX and Vantrix debuted the solution in a live transcoding environment at Cable Labs Summer Conference. Later this week, the two companies will demonstrate the Vantrix Media Platform again at the International Broadcasting Convention (IBC) in Amsterdam. InterDigital’s Rafael Cepeda, Senior Manager, examines the 5G and IoT intersection in a recent article featured on EE Times. With what he describes as 5G guidelines mostly in place, the discussion regarding the next generation of mobile networks has turned to what 5G will do for society and how it will intersect with the Internet of Things (IoT). In his article, Rafael describes how 5G and the IoT work together as two sides of the same coin. He utilizes smart cities and the transport sector as an example of how the IoT will require a more flexible infrastructure. The enormous amount of data generated by the IoT will require the flexibility that 5G is expected to provide and therefore, the IoT will drive the dynamic configuration of the 5G network. Rafael explains that the two will work together to deliver the ultimate efficient configuration that will serve all end user’s needs whenever, and wherever. Rafael is primarily focused on 5G research and development efforts at InterDigital Europe. InterDigital’s London-based research unit recently announced its involvement in three Horizon 2020 projects that are underway – XHAUL, POINT (iP Over IcN the betTer IP), and RIFE (aRchitecture for an Internet For Everybody). InterDigital Europe’s involvement underscores the company’s commitment to making strong contributions to the development of the next generation of mobile networks. Click here to read the full article or to learn more about 5G and IoT, visit the vault. Jan Ozer, one of the leading journalists and thought leaders in the streaming content space, recently wrote about HEVC Advance, and the fact that some companies are already offering technologies that claim to reduce the delivery data rate of h.264 and other codecs by as much as 50 percent with minimal impact on visual quality. His article, “The State of Video Codecs 2015,” looks at ways that new technologies could provide another way to extend the life of the h.264. The technologies being offered do not replace the codec, instead they aim to make it work more efficiently. In his article, Jan describes the approaches of three companies: Faroudja Enterprises, EuclidIQ and InterDigital. While all three companies offer an element of compression-enhancement, they operate at different points in the encoding workflow and may have different target markets. Faroudja Enterprises provides a video bitrate reduction technology that is employed at the front and back end of video encoding/transcoding workflows. The technology appears to be targeted toward broadcast and similar markets, as Jan stated in the article. EuclidIQ offers a compression suite that yields bitrate reductions without requiring pre- or post-processing. However, EuclidIQ does not seem to be targeting the streaming publisher directly, instead it seeks encoding vendors. InterDigital’s PerceptFX delivers a set of tools, pre-processor and artifact removal toolkit, to help content publishers improve their customers’ viewing experiences and reduce costs for content delivery and storage. The PerceptFX pre-processor eliminates imperceptible image data, enabling 4K and other resolution video to be delivered at impressive bandwidth savings. This solution offers seamless integration with existing workflows and solutions. For example, PerceptFX will demonstrate how Vantrix now enhances their open transcoding video pipeline with the PerceptFX pre-processor at the Cable Labs Summer Conference in Keystone, Colorado this week. Going to miss Cable Labs? Check out Vantrix and InterDigital’s next demonstration at International Broadcasting Convention (IBC) in Amsterdam from September 11-15, 2015. 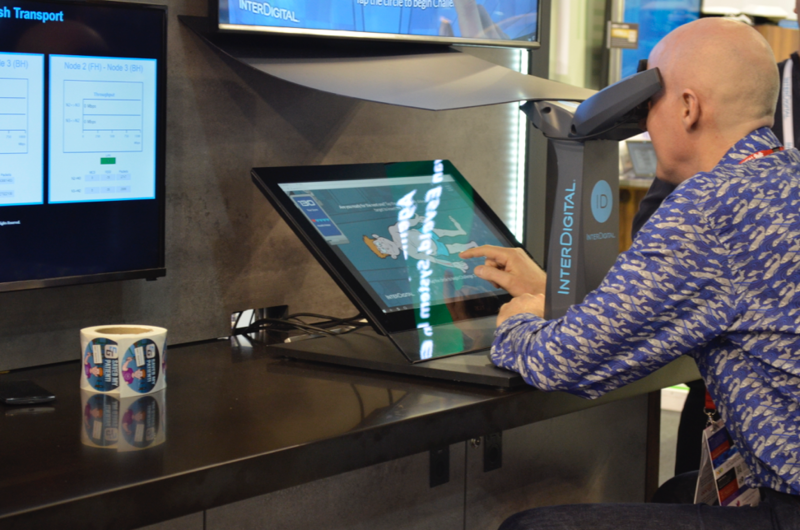 To learn more about InterDigital’s PerceptFX, please click here. The fifth generation wireless standard is expected to underpin new technology deployments as well as future technologies that at this time can only be imagined. Currently, we are in the earliest stages of defining what 5G will be, and opinions from throughout the mobile ecosystem are useful in the outline of the eventual big picture. Telecom Industry Association (TIA) recently conducted a survey, sponsored by InterDigital, which provides valuable insight into the network operator’s view of the 5G evolution. InterDigital’s Chris Cave, Director of Research and Development, took a moment to reflect on the survey results, and where things stand today at the start of the 5G research race, in a recent article featured on VentureBeat. In the article, Chris provides six detailed reasons to support his statement that 5G may turn out to be a tale of two approaches – and maybe more. He provides evidence that at this point in the development of 5G there are different streams and motivators that need to be resolved and connected over the next few years, based on the results from the TIA operator survey. Check out Chris’ full article here or to learn more about 5G, visit the vault. The Institute of Electrical and Electronics Engineers (IEEE) Signal Processing Society’s publication, IEEE Transactions on Image Processing, is considered the flagship peer-reviewed publication in image processing… and has recently appointed our own Dr. Rahul Vanam, a staff engineer in InterDigital Labs, as Associate Editor for the 2015 – 2018 term. IEEE Transactions on Image Processing publishes articles focused on signal-processing aspects of image processing, imaging systems, and image scanning, display, and printing through open calls for articles as well as special issues on various topics. Rahul, who specializes in multimedia signal processing as well as video and image compression/processing, joins the editorial board of this recognized journal along with industry representatives from leading companies around the world, like Google, IBM, Intel, Ricoh, Disney, and GE, among others. In addition to this achievement, Rahul serves an area chair for the IEEE International conference on multimedia and expo (ICME) 2015, publicity co-chair for the 2016 Southwest Symposium on Image Analysis and Interpretation (SSIAI), and as a key member of the IEEE MMTC Multimedia Processing for Communications Interest Group (MPCIG). InterDigital has a dedicated video standards research team that actively contributes to the development of standardized video codecs through two areas: standards-based and prototyping-based innovation. Standards-based innovation focuses on participation and contribution to video standardization organizations, while notable achievements for the prototypes developed by the team include power-aware HEVC streaming, software-based HEVC decoder, fast HEVC encoder, and real-time SHVC decoder. For a view of some of our research in image and video processing, please visit the Vault. Internet privacy is becoming a large concern, as more and more devices are getting directly or indirectly connected to the Internet. Recently, the IETF and IEEE 802 announced the successful completion of three experimental mobile privacy trials – and an InterDigital engineer was a key part of it. The IEEE 802 Privacy Executive Committee Study Group identified privacy issues related to the use of globally-unique media access control (MAC) addresses in over-the-air communications like Wi-Fi, and the risk that long-lived identifiers such as MAC addresses pose to the exposure of users to unauthorized tracking. Juan Carlos Zuniga, Principal Engineer at InterDigital’s Montreal R&D center, serves as chair of the study group, which proposed a solution to this privacy issue and embarked on experiments to study the implications of the solution. Earlier this week, Juan Carlos provided interviews to several wireless tech media outlets on the group’s work and recommendations for better security and privacy. Concern arises from the fact that MAC addresses can become privacy risks by exposing users to unauthorized tracking. The uniqueness of the identifier and lack of encryption enables an easily made connection between the identifier and the user. “So you can identify the walking path, where they work, where they live, what their likely income is, what their age range is, in a scarily easy way,” Juan Carlos told CSO’s Maria Korolov. The IEEE Study group proposed the solution to update the Wi-Fi protocol to use randomly generated MAC addresses to increase security and privacy. Juan Carlos told Maria that he hopes to see his group’s recommendations incorporated in the next version of the 802.11 standard. In the FierceWirelessTech article, “IEEE Study Group Recommends Improvements in Wi-Fi Security,” Juan Carlos explains that while the recommendation for randomized MAC addresses seems straightforward, there are still implications for commercial and enterprise networks. For example, a hotel may tie the identifier to an account so that the system can track that a guest has paid for their 24-hour Wi-Fi Service. If the identifier is changed, the system may try to charge a guest again. Juan Carlos clarifies that the IEEE group would want to avoid those types of things from happening. To read the full CSO article, click here or to read the full FierceWirelessTech article, click here. The Internet of Things (IoT) is a major topic of conversation in the tech world right now, and InterDigital is involved in a big way – whether it’s our oneMPOWER platform, our commerical initiative wot.io, or the efforts of our various teams to partner with industry development efforts, standards bodies and external innovation. InterDigital’s Serhad Doken, Vice President, Innovation Partners, took a moment to reflect on the future of IoT, and the role of software in driving it, in an article featured on Wireless Week today. According to Serhad, IoT is not about connecting things or producing data…it’s about what happens next. In the article, he breaks down what he believes the IoT big picture will eventually hold into ten key points. Serhad addresses how the IoT will alter enterprise, transition business models, and amplify the importance of multi-modal User Interface and User Experience. He closes the article with what he refers to as “the crown jewel potential and real promise of IoT” – rapid new service creation. Serhad explains that full IoT solutions will allow for a simplification that enables any user to design and add new services without needing (or even wanting) to fully understanding the mechanics. As a pioneer in mobile technology, InterDigital is actively taking on challenges in IoT. Most recently, the company demonstrated the latest capabilities of its oneMPOWER platform solution at Internet of Things World San Francisco in May 2015. InterDigital's oneMPOWER platform provides M2M/IoT application enabling services that include connectivity, device, data, and transaction management resulting in faster time-to-market, scalable application development and lower operation costs. Check out Serhad’s full article here or to learn more about IoT, visit the vault. Hulu, the U.S. - based OTT service, recently announced the migration to MPEG-DASH inside their various players. With the transition, DASH-compliant video segments serve more than 75 percent of Hulu’s traffic and the company expects that to increase as their services evolve. Baptiste Coudurier, Principal Software Development Lead at Hulu, highlighted the benefits of the migration to DASH for the OTT service as well as its customers in an exclusive interview with Streaming Media Europe. The main benefits of the migration according to Coudurier: Control, flexibility, simplicity and performance. “Overall we [Hulu] have less user support to provide with DASH as we have more control on the players,” stated Coudurier in the interview. The migration to DASH is part of a major evolution for Hulu. Next steps for the company? Implementing the DASH multiperiod feature for ad insertion. According to Alex Giladi, Senior Manager, Video Software Architect at InterDigital, this is a great illustration of the growing adoption of DASH by mainstream providers of premium content. Alex is involved in projects related to MPEG Systems in MPEG, DASH Industry Forum and SCTE. At the Streaming Media East 2015 conference, Alex spoke in the panel discussion titled, “Implementing New Technologies with MPEG-DASH.” The main focus of his discussion surrounded advanced dynamic ad insertion from DASH 1.0 to DASH 3.0. To watch his full talk along with the rest of the panel, please click here. Internet of Everything – The Real 5G Challenge? 5G will literally be about supporting everything - that is, supporting a wireless world that is the “Internet of everything,” stated InterDigital’s Alan Carlton in the first article of his three-part series on 5G featured in RCR Wireless News’ Reader Forum. In the article, titled “5G is coming! Wireless telecom is dead, long live wireless IT,” Carlton dives into the real 5G challenge – supporting the internet of everything. Mr. Carlton discusses how 5G will tackle the challenge of everything through a foundation of established IT thinking. The article covers the role of cornerstone technologies such as software defined networking (SDN) and network function virtualization (NFV) as well as radio technology in the emergence of 5G. Make sure to stay tuned as RCR Wireless will publish Carlton’s two follow-up articles that will explore 5G network and radio aspect in more detail. To read the full first article, please click here. From the 2015 Future of Wireless International Conference in London, Mobile World Live published an article focused on the hot topic of day one at the conference – 5G. The article discusses the opportunities that 5G may provide to the wireless technology industry, government and regulators. According to Keysight Technologies, a United States test and measurement company, 5G is an opportunity to rethink the approach to the next phase of communications. Alan Carlton, Vice President of InterDigital Europe, forecasts 5G as a ten-year journey of innovation that will result in transformation of the industry as we know it today. Click here to read the full article or learn more about InterDigital’s role in 5G at the vault. Facebook’s Oculus VR recently announced that it will launch a consumer version of its virtual reality headset in 2016. Shortly following the announcement, TechNewsWorld, an ECT News Network publication, featured an article that surrounded the release as well as the future of virtual reality – and InterDigital’s Senior Director of Systems Engineering, Vincent Roy, contributed to the article. Vincent discussed the role that the 5G wireless standard will play in the evolution of virtual reality with Quinten Plummer, longtime technology reporter. Roy stated that the projected large decrease in latency as a requirement makes the role of 5G critical to virtual reality. 5G could provide the ability for virtual reality to cut the cord and provide remote commands in real time without noticeable latency. A number of companies and experts, including InterDigital, have started to shape their vision for the advanced services that will be enabled by 5G. 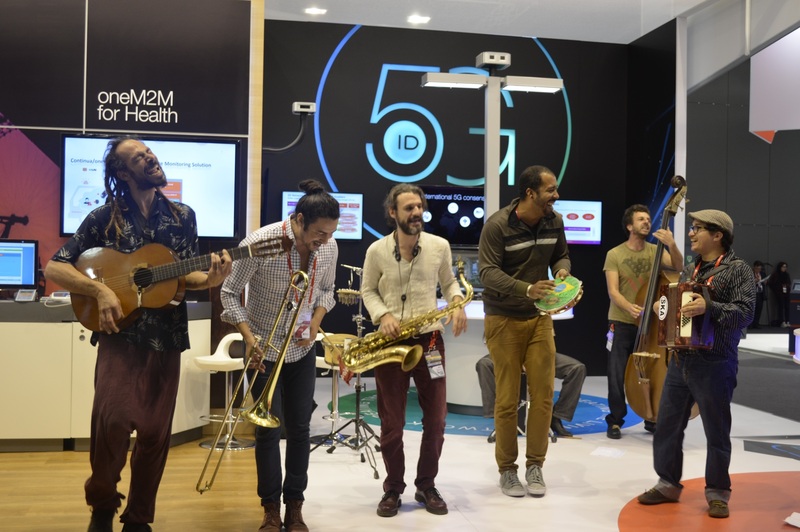 At 2015 Mobile World Congress in Barcelona, InterDigital presented their vision for the advanced services enabled by 5G networks that includes tactile internet, pervasive video, eHealth services, and more. Click here to read the full TechNewsWorld article and learn more. The next major shift in mobile broadband – 5G – will enable innovative services through emerging wireless core technologies and a programmable infrastructure designed to meet new requirements. InterDigital’s Jim Miller, Director of Radio Standards, recently joined Senza Fili’s Monica Paolini to discuss one of the emerging technologies, LAA-LTE. The article based on the conversation is titled “Fairness to Wi-Fi is Crucial to LTE Unlicensed’s Success,” and focuses on the evolution of the role of LTE unlicensed, Wi-Fi and their coexistence. Jim also discussed InterDigital’s LAA-LTE standardization efforts that are focused on 3GPP and current solutions, such as the Smart Access Manager, that provide the company with a good vantage point to assess the potential of LAA-LTE. The interview will serve as a background for the upcoming report, – “LTE Unlicensed and Wi-Fi: Moving Beyond Coexistence” – being produced by Senza Fili in collaboration with RCR wireless and set to be released on May 12, 2015. In addition, XCellAir, Ruckus Wireless, Qualcomm, Cisco, Alcatel-Lucent and Wi-Fi Alliance among other industry experts participated in interviews that helped drive the report. With the initial 5G requirements highlighting a need for more spectrum, many industry organizations and governments are actively working to identify potential spectrum for future mobile services while taking into account other existing and potential users of spectrum. Most recently, OFCOM, an independent regulator and competition authority for the UK communication industries, released an updated report that sets their work plan on bands above 6GHZ. The publication, "Laying the foundations for next generation mobile services: update on bands above 6 GHz" summarizes responses to OFCOM’s January Call for Input (CFI) on spectrum above 6GHz for future mobile communications and recognizes contributions from the detailed submission of InterDigital Europe to the CFI. InterDigital Europe, which is focused on the development of 5G and IoT technologies, also participated in the OFCOM event, “Future Technology and 5G” held on March 12, 2015. OFCOM’s recognition of InterDigital Europe’s submission underscores the importance of InterDigital’s European research operations and aligns with their mission to foster collaboration in this segment. Other collaborative efforts can be seen in the recent announcement of their key roles in multiple Horizon 2020 projects, including the 5GPPP project, XHAUL. For more information on InterDigital’s vision for 5G, please visit the Vault. Science, technology, engineering and mathematics (STEM) education is key to the competitiveness of our nation in an increasingly interconnected global economy. InterDigital has been an active supporter of the STEM community and is committed to investing in the ideas and people of the future. The company’s commitment can be seen in its latest local effort - sponsorship of new wireless communications laboratories at Delaware State University. On Tuesday, InterDigital announced the contribution of a $300,000 grant to DSU’s College of Mathematics, Natural Sciences and Technology (CMNST) during a media event held at the University’s Dover Campus. Remarks were made by Dr. Harry Williams, President, Delaware State University; Jack Markell, Governor of the State of Delaware; Thomas Carper, U.S. Senator; Dr. Noureddine Melikechi, Vice President for Research, Innovation and Economic Development & Dean of the CMNST; and William J. Merritt, President and CEO, InterDigital. The grant funding will be used to establish three new laboratories in the University’s Mishoe Science Center: a digital and analog electronics laboratory; a wireless communications, signal processing and controls laboratory; and an advanced micro-controller design lab. The new teaching laboratories will be available for undergraduate studies at DSU beginning this fall. For more information on Delaware State University’s College of Mathematics, Natural Sciences and Technology, please click here. William Merritt, CEO, InterDigital, providing his remarks. (L-R): Tom Preston, general counsel, DSU; Tom Carper, U.S. Senator; Jack Markell, Governor, DE; Dr. Noureddine Melikechi, vice president of research, DSU; William Merritt, CEO, InterDigital; Harry L. Williams, president, DSU; David Turner, board of trustees chairman, DSU; Robin Christiansen, Mayor of Dover; Jannie Lau, general counsel, InterDigital, and Alton Thompson, provost, DSU with display check. Dr. Noureddine Melikechi and William Merritt talk post grant announcement. ThinkSmallCell featured two companies that have raised the profile on how to manage large scale small cell deployments in its recent article, Managing Large Scale Small Cell Deployments – and XCellAir, an InterDigital commercial initiative, is one of them. In the article, ThinkSmallCell, a leading resource website for those involved in the mobile phone industry, covers potential future features and required characteristics with the expansion of small cell deployment and its interwork with Carrier Wi-Fi. XCellAir is highlighted in regard to their view of the solution space encompassing both Wi-Fi and cellular as well as their entirely cloud-based solution. XCellAir offers one of the industry's first cloud-based, multi-vendor, multi-technology mobile network management and optimization solutions. Their strategic ecosystem features a network comprised of Wi-Fi access points and LTE small cell vendors, as well as self-organizing network (SON) suppliers that will help wireless service providers unlock untapped potential of Heterogeneous Networks (HetNets) consisting of Wi-Fi and / or cellular small cells. As a pioneer in mobile technology, 5G research and development has been an area of special focus for InterDigital and its subsidiary, InterDigital Europe. In addition to 5G R&D, InterDigital Europe is focused on partner collaboration in Horizon 2020 (H2020) and other initiatives. The company’s mission to drive future technologies and foster collaborations can be seen in the company’s key roles in H2020 projects such as POINT (iP Over IcN the betTer IP) and RIFE (aRchitecture for an Internet For Everybody) along with its most recent milestone 5GPPP win. Wireless Magazine, a publication that targets the UK Wireless sector, published an article yesterday that highlights InterDigital Europe’s milestone 5GPPP win for project XHAUL. In the article, editor James Atkinson underscores our experience in the space along with our involvement in this exciting project. The objective of project XHAUL is to develop a 5G integrated backhaul and fronthaul transport network to flexibly and dynamically interconnect the 5G radio access and core network functions. Check out the full article here and learn more about our vision of 5G on the InterDigital Vault. ThinkSmallCell’s Mobile World Congress 2015 – Small Cell Report mentions XCellAir, a cloud-based, multi-vendor, multi-technology mobile network management and optimization solution, in their coverage on the planning and deployment side of small cells. To learn more about XCellAir, please visit xcellair.com. Rethink Wireless’ Caroline Gabriel’s MWC round up article, “MWC: mobile shake-up looms, but not from 5G,” highlight’s InterDigital’s Peraso baseband system-on-chip as a notable solution for 60GHz WiGig and small cell backhaul solutions. Gabriel goes on to mention XCellAir in the new operators section as she discusses the role of cloud platforms to support a new generation of network. In the latest post from the Dispatches from the Wireless Front blog on toolbox.com, the executive team of XCellAir discusses their business model and its relationship to the HetNet paradigm with the blogger, wirednot. Shortly following the MWC round up article, Rethink Wireless’ Gabriel published an article focused solely on InterDigital’s new product strategy. The article highlights the four key areas that our labs organization is focused on and our two most recent commercial initiatives XCellAir and wot.io, a data service exchange. To learn more about our labs, click here, and for more on wot.io, please visit wot.io. 5G is theorized to be a fundamental shift and key enabler in the future of the digital world. The shift from 4G to 5G will encompass the emergence of new technologies and approaches to the Internet that will change the way people live, work and play. The new approaches may require collaboration among vertical markets to help the wireless industry understand the consumer's needs and develop a technological network that connects people, things and services like never before. This requirement appeared as a common theme across the six panelists in the FierceWireless Technologies’ “The Path to 5G: Defining the Next Generation of Wireless Networks” luncheon that took place during Mobile World Congress on March 3, 2015 at the Fira Congress Hotel in Barcelona. Sue Marek, Editor-in-Chief, FierceWireless, moderated a dynamic panel that included the following six industry executives: Asha Keddy, VP Platform Engineering Group, Intel; Tom Keahtley, SVP, Wireless Network Architecture and Design, AT&T Services; Alex Jinsung Choi, EVP and Head of Corporate R&D Center, SK Telecom; Adam Koeppe, VP of Network Technology and Planning, Verizon Communications; and Eduardo Esteves, VP, Product Management, Qualcomm. The panelists made it clear that 5G requires a need for a much broader set of definitions beyond just the telecom industry and will require contributions from key players across industry vertical markets such as health care and transportation. Throughout the discussion, they expressed that the next generation of wireless networks will need to be defined through an open environment with a focus on the quality of service for specific user experiences and the new business models that will emerge in the market. 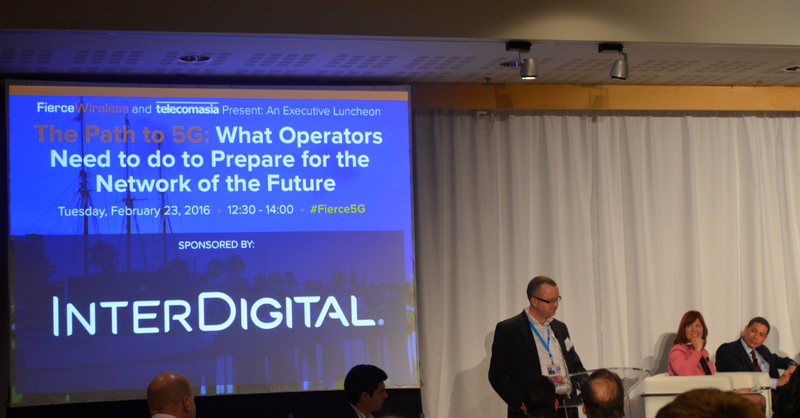 Alan Carlton, Vice President of InterDigital Europe, closed the luncheon with some remarks on the panel discussion and InterDigital's involvement with 5G. Currently, the company has a strong focus on 5G innovation in areas that include Air Interfaces, Networks, M2M/IoT, Spectrum Sharing, and Services Enabled by 5G Networks. For more information on 5G, make sure to visit the InterDigital Vault at http://vault.interdigital.com. wot.io, a leading data service exchange for connected device platforms, recently was recognized as a top technology innovator. The company was named one of ABI Research’s “Hot Tech Innovators” and was ranked seventh on IoT Nexus’ “Power Players in the Internet of Things” report in February. ABI Research, a technology market intelligence firm, analyzed 118 of the most innovative companies in the global market that they consider to be on the cusp of imminent breakout. IoT Nexus’ “Power Players in the Internet of Things” report featured the top 50 IoT companies, of which the top ten was comprised of Cisco, Intel, Google, ARM, SeeControl, Sigfox, IBM, GE, and Spark.io, along with wot.io. For more, please see the wot.io news release. Shortly after XCellAir announced the launch of their strategic ecosystem, FierceWirelessTech published a feature story on the company, XCellAir emerges from stealth mode, launches ecosystem for LTE, Wi-Fi network optimization. Monica Alleven, editor of FierceWirelessTech, interviewed XCellAir co-founders and proven technology experts: Amit Agarwal, president; Narayan Menon, CTO and EVP of engineering, and Todd Mersch, EVP of sales and marketing, to gain insight into one of the industry's first cloud-based, multi-vendor, multi-technology mobile network management and optimization solutions. As an InterDigital commercial initiative, the company was formed to meet the challenges presented by an evolving network landscape through enabling wireless service providers to efficiently manage, optimize and monetize their wireless networks. Their strategic ecosystem features a network comprised of Wi-Fi access points and LTE small cell vendor, as well as self-organizing network (SON) suppliers that will help wireless service providers unlock untapped potential of Heterogeneous Networks (HetNets) consisting of Wi-Fi and / or cellular small cells. The goal of the ecosystem is to deliver immense increases in network capacity, extended coverage and lower cost-per-bit. FierceWirelessTech quoted Menon, “the way we've architected our solution… it's inherently multi-technology, multi-vendor. It will evolve very nicely to support 5G small cells as well." In addition, its technology has implications for Licensed Assisted Access (LAA)-LTE also known as LTE-Unlicensed. To learn more about the solution, please visit xcellair.com. Day one at Mobile World Congress 2015 has arrived! This post will serve as your source for the action happening at our MWC 2015 booth, Hall 7, Stand 7A71. 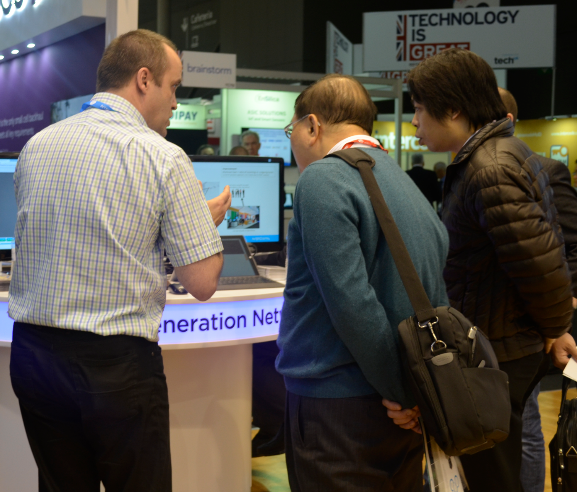 The action includes demos of our WiGig-based millimeter-wave mesh backhaul solution, oneM2M-compilant Software Development Platform, Smart Access Manager and Perceptual Pre-Processing. Two of our commercial initiatives, wot.io and XCellAir, are also featuring their technologies. Stay tuned for more details throughout the week. 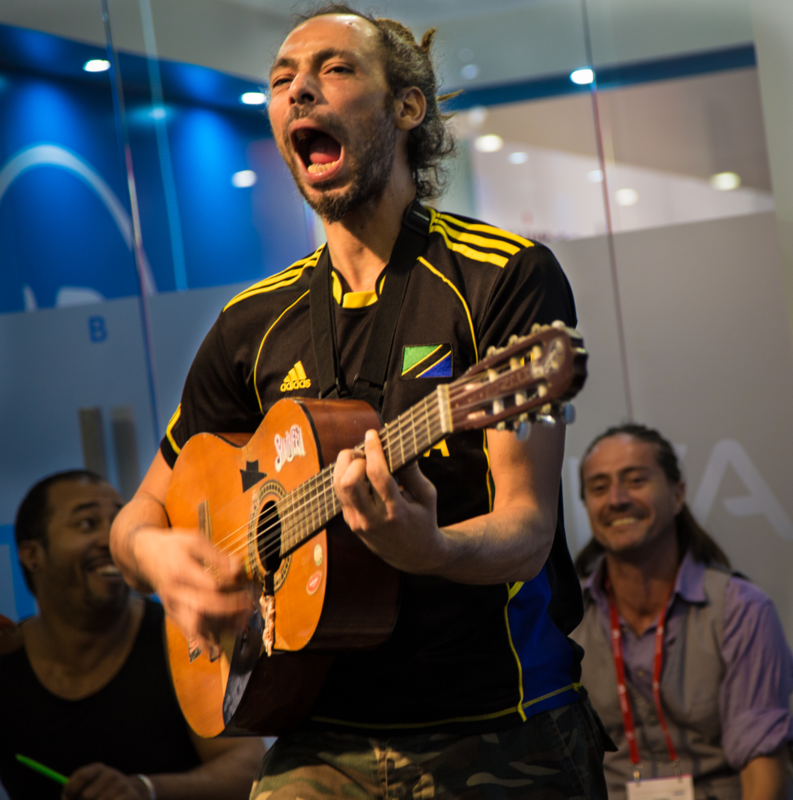 To close out a successful first day, The Mañaners, a popular local reggae band, opened up their three day set at our booth. Don’t miss the band live tomorrow and Wednesday at 5:30PM CET. On January 28, YouTube announced that the site now defaults to its HTML5 video player in Google's Chrome, Microsoft's IEII, Apple's Safari 8 and in beta versions of Mozilla's Firefox. Four years ago, the site announced a test version of an HTML5 video player, but held it back from becoming the preferred platform for video delivery due to limitations. YouTube highlighted five key technologies that enabled the step forward: MediaSource Extensions, VP9 video codec, Encrypted Media Extensions, WebRTC and Fullscreen. Within MediaSource Extensions, the site highlighted Adaptive Bitrate (ABR) streaming as critical to provide a quality video experience for viewers. A right-click on a YouTube video and selection of "Statistics for Nerds" will reveal that the ABR technology that has been rolled out is MPEG DASH. Alex Giladi, Senior Manager, Video Software Architect at InterDigital, states that this is a huge win for the standards-based approach to adaptive streaming, for W3C and for MPEG. Giladi is involved in projects related to MPEG Systems in MPEG, DASH Industry Forum and SCTE. For the last several years, InterDigital has been active in the development of MPEG DASH and MPEG Common Encryption. For more information on InterDigital's role in adaptive streaming technology, visit the InterDigital Vault. IEEE Communications Society (ComSoc) selected InterDigital's Dr. Chonggang Wang as an IEEE ComSoc Distinguished Lecturer for 2015-2016. As a subject matter expert on the IoT, Dr. Wang will help to plan and speak at the Distinguished Lecturer Tours. The selection is a great achievement for Dr. Wang as he presently leads InterDigital's IoT Protocols theme. In addition, Dr. Wang is involved in other aspects of the M2M/IoT team and participates in standards activities that include IETF and oneM2M. InterDigital's Innovation Labs M2M/IoT team develops solutions for the M2M/IoT ecosystems that include cutting-edge technologies for different M2M/IoT standards development organizations (SDOs) and standard-compliant horizontal M2M/IoT service delivery platforms. The M2M/IoT team has developed expertise in critical M2M/IoT technical domains such as M2M Service Layers (e.g. oneM2M, ETSI M2M), IoT Protocols (e.g. IETF, OMA), Machine-Type Communications (e.g. 3GPP), Context-Aware Proximity Services (e.g. IEEE 802.15.8), eHealth (e.g. Continua Alliance) and M2M commercial platform development. An example of the M2M/IoT team's expertise in the critical M2M/IoT technical domain, eHealth, can be seen in the video below. The video features InterDigital's Dale Seed, Member of Technical Staff, Embedded Systems, providing Proactive International PR's Joanne Turner with a brief look at the Continua eHealth demo presented at the December oneM2M showcase event in Nice.